Special counsel Robert Mueller is recommending a judge sentence one-time Donald Trump campaign aide George Papadopoulos to up to six months in jail for lying to the FBI, a request that includes a strong rebuke of a man who allegedly failed to assist with the investigation into Russian interference in the 2016 elections, according to documents filed with the court. Prosecutors did not make a specific recommendation but urged the judge to give Papadopoulos jail time and said a sentence within the guideline range of up to six months imprisonment was "appropriate and warranted." Papadopoulos’ wife Simona on Friday evening told the ABC7 Chicago I-Team that “unfortunately they [prosecutors] didn’t value George’s cooperation.” Simona Mangiante Papadopoulos said that federal authorities have ignored evidence favorable to her husband. Papadopoulos, who had served as a volunteer to the Trump team, traveled as an emissary from the campaign to foreign leaders in the Middle East and the Mediterranean. In July 2017, he was charged with lying to the FBI about his contacts during the campaign with a professor who had “substantial connections to Russian government officials," and accused of trying to conceal his contacts from the FBI. 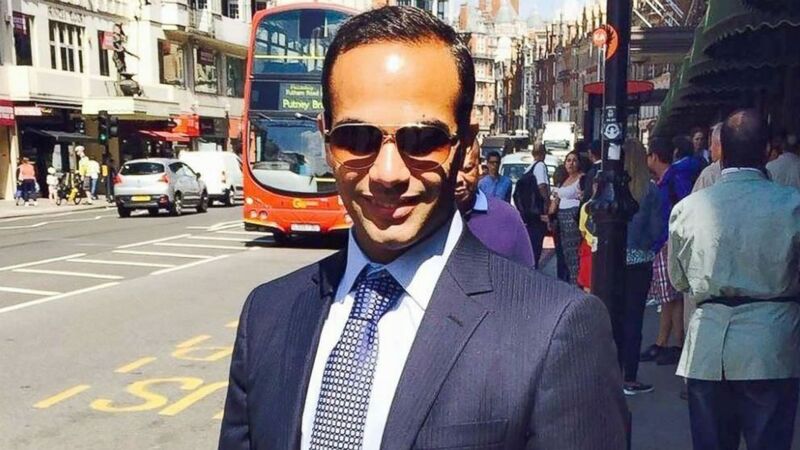 (AFP/Getty Images) This undated image posted on his Linkedin profile shows George Papadopoulos posing on a street of London. Court records filed by special counsel Robert Mueller describe how the professor approached Papadopoulos after learning of his role in the Trump campaign. The court filing does not name the professor, but he has since been widely identified as Joseph Mifsud, then the director of the London Academy of Diplomacy. ABC News has been unable to reach Mifsud for comment. The professor told Papadopoulos the Russians had “dirt” on Democrat Hillary Clinton in the form of “thousands of emails” that they had procured, according to the court documents. Papadopoulos reportedly bragged about that offer to an Australian diplomat, who then tipped off the FBI and launched that agency’s counterintelligence investigation into possible collusion between the Trump campaign and Russia. Papadopoulos was arrested by the FBI when he arrived at Dulles International Airport in July 2017 and charged under seal. He agreed to cooperate with investigators in exchange for a lighter sentence. The government’s sentencing recommendation includes clear signs the Mueller team felt betrayed by Papadopoulos after he struck a plea agreement and pledged his full cooperation. The filing says Papadopoulos repeatedly withheld key details about his contacts with Russians and neglected to turn over the cell phone he used to communicate with Mifsud until the government expressly asked for it. The filing also says that, even after his initial FBI interview, Papadopoulos made repeated attempts to land jobs with the fledgling Trump administration, including a high level post with the National Security Council. “In the hours after being interviewed by the FBI, the defendant submitted his biography and a description of work he did on the campaign in an effort to obtain a position as a Deputy Assistant Secretary in the Energy Department,” the filing says. Papadopoulos’s legal team will file their own sentencing assessment to the court in two weeks, and is expected to ask for probation. The sentence recommendation comes as Simona Mangiante Papadopoulos has mounted the latest in a series of publicity campaigns – this one suggesting her husband has misgivings about his plea agreement. Back in December, in an interview with ABC’s George Stephanopoulos, she had described her spouse as the "John Dean" of the Russia probe, a reference to the Watergate-era former White House counsel who pleaded guilty to conspiracy to obstruct justice and became a key witness against President Richard Nixon and his aides. Earlier this month, Papadopoulos received a sealed sentencing document prepared for the court. After that, the defendant’s wife began an aggressive media blitz in which she strongly hinted her husband is considering changing lawyers and rescinding his plea deal. After appearing before Democratic members of the House intelligence committee earlier this summer, she said that Papadopoulos has come to believe the professor may have been working for Western intelligence agencies and set him up. "I actually never said explicitly that it was an entrapment from the FBI. I just said that he definitely was...the target of a different set-up," she said. 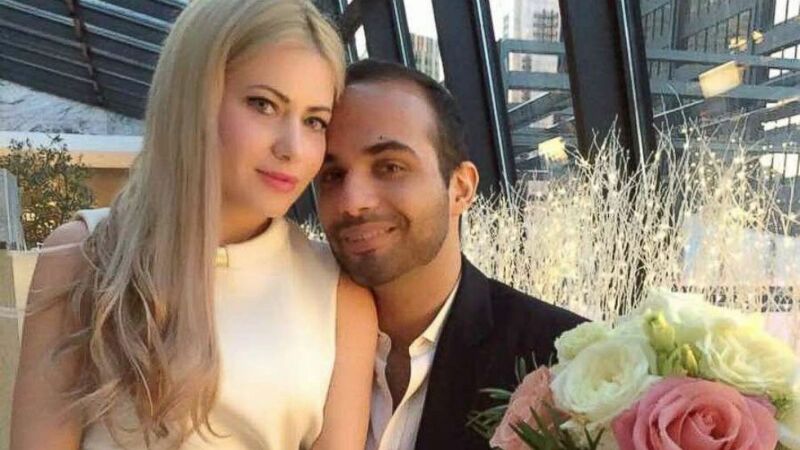 Since her husband’s guilty plea in exchange for cooperation with the Mueller probe, Papadopoulos has been living in Chicago. Federal investigators have imposed restrictions on his travel until his sentencing, which is now scheduled for September 7.